St. Petersburg authorities have recently announced they would increase transport fares for 2017. A single ride by subway will cost 45 rubles (0.72$) instead of 35 rubles this year, an almost 30% increase unprecedented in the city’s history. The city tries to reduce the popularity of tokens and force residents to use more transport prepaid cars which would see the maximum increase of only 7.7%. A ride by bus, tram or trolleybus will cost 40 instead of 30 now representing the same 30% hike. An annual fare increase is normally not a big deal, but this time it is different. The 30% hike might seem logical as using tokens is a rather big for the subway, and making their use much more expensive than alternative tools may help switch the residents to cards. 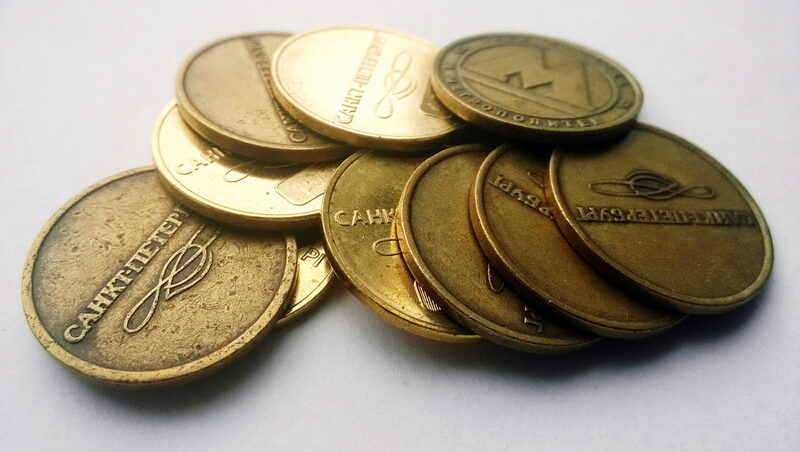 Moscow, for example, rejected tokens a few years ago. In St. Petersburg, 108.6 million tokens were used in the first half of the year. But a great number of citizens tend to use subway from time to time, primarily getting around the city by buses and trolleybuses, so they will be affected. Another category to suffer from the decision is tourists who prefer using tokens as the most understandable tool for them. So our advice here is to buy the refundable Podorozhnik card and read our post about the subway in St. Petersburg. The Podorozhnik works as an electronic wallet, you put some money on it and then pay by it at subway and other public transport. There is a fee when buying the card which is refundable. The biggest problem with the Podorozhnik is that you might have money left unused on it in case you have put more money than you really needed. The card can be bought at any box office at subway. The hike for a single ride by bus, tram and trolleybus is explained by the same approach to switching passengers to cards. New prices will be in effect as of 1st of January, 2017. The move has triggered some buzz in social networks and the press, so at the end of the year we will undoubtedly see the picture we already saw at the end of 2014: very long queues to box offices at the subway and setting limits of numbers of tokens one can purchase. This time one part of a queue will be standing for tokens to buy them in advance and the other for the Podorozhnik. Sad no matter what.